A Ukrainian official said on Monday that MH17's data recorders show it came down due to "massive explosive decompression" caused by a rocket. All 298 people on board the airliner - mostly Dutch - died on 17 July. "This violation of international law, given the prevailing circumstances, may amount to a war crime," Navi Pillay, the UN High Commissioner for Human Rights, said of the downing of MH17. "Every effort will be made to ensure that anyone committing serious violations of international law including war crimes will be brought to justice, no matter who they are," Ms Pillay said. Ms Pillay spoke as the latest UN report on Ukraine suggested at least 1,129 people have been killed and 3,442 wounded in the Ukraine conflict since mid-April. The conflict has displaced more than 200,000 people, many of whom have fled east to neighbouring Russia. 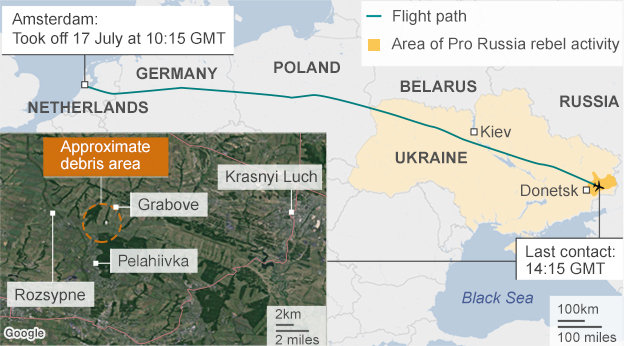 Flight MH17's two black boxes are currently being analysed by aviation experts in the UK. Russian Foreign Minister Sergei Lavrov said he hoped monitors from the OSCE international security body would be able to deploy on the Ukraine-Russia border in the next few days. In a statement on Monday, the Ukrainian military said it had "entered" the towns of Shakhtarsk and Torez and was working to seize control of Pervomaysk and Snizhne - all close to the crash site of MH17. A separatist leader in Donetsk, Vladimir Antyufeev, told the AFP news agency that the Ukrainian army had taken over part of the crash site. A team of Australian and Dutch police and forensic experts abandoned attempts to reach the site on Monday, blaming the security situation in the area. It was the second failed attempt in as many days. 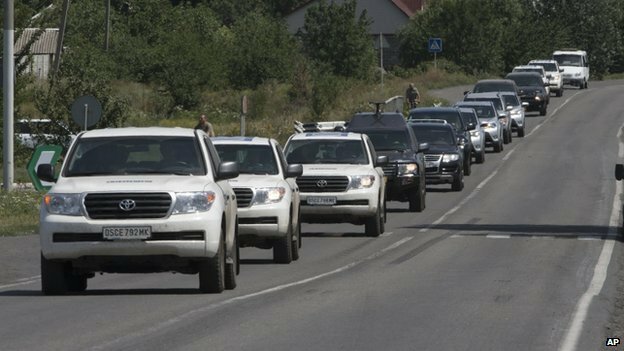 "We were stopped because there was gunfire and what we understand was artillery impacts nearby, very near," said Alexander Hug, an official from the OSCE mission to Ukraine. "We are sick and tired of being interrupted by gunfights despite the fact that we have agreed that there should be a ceasefire." The army is also trying to take control of two main roads in eastern Ukraine, which the government in Kiev believes to be vital supply lines from Russia for rebel forces in Donetsk. 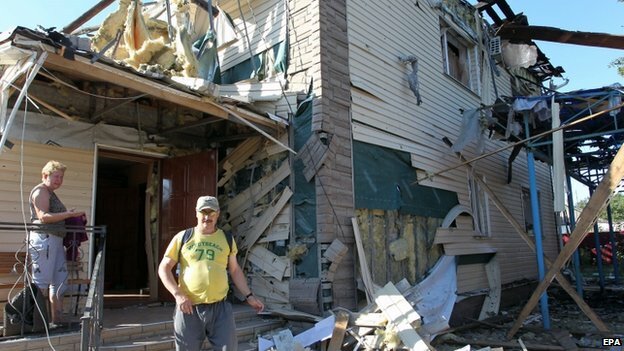 In the past 24 hours there has been heavy artillery fire at the city of Horlivka, where several civilians were killed. 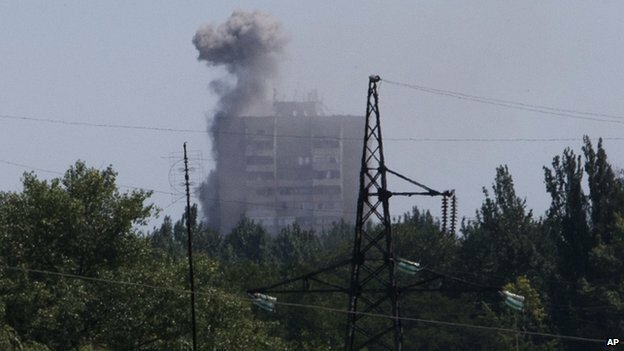 In the city of Donetsk at least three people died in shelling too, the municipal authorities say. And there are reports of civilian casualties as a result of the shelling of Luhansk, which is also held by the rebels. Last week, the US-based Human Rights Watch said both sides in the conflict were using unguided Grad rockets against civilian areas, in violation of human rights norms, and urged them to stop doing so. It documented several attacks in which, it said, the rockets were apparently fired by government forces. 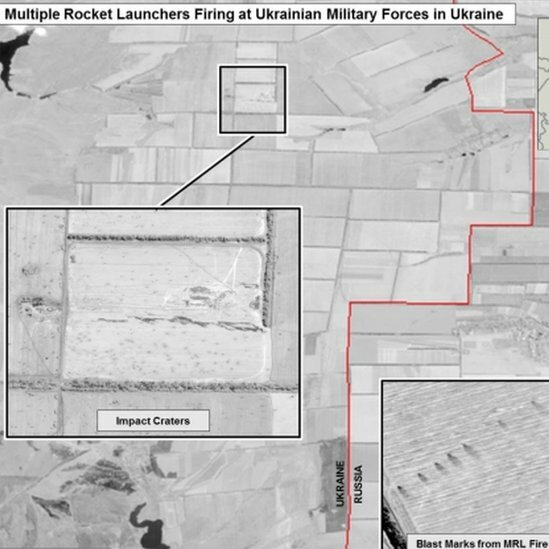 The US has produced what it calls satellite evidence that rockets have been fired at Ukrainian forces from Russian soil. Russia denies that any of its forces are helping the rebels.